Metal Mind Productions is proud to present the exclusive re-issue of four albums by the American heavy metal band ALCATRAZZ - No Parole From Rock'n Roll (1983), Live Sentence – No Parole From Rock’N’Roll (1984), Disturbing The Peace (1985) and Dangerous Games (1986). 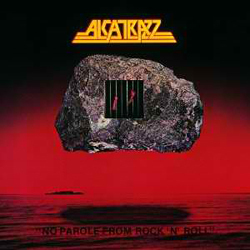 ALCATRAZZ was formed in 1983 in Los Angeles, California by the legendary rock vocalist Graham Bonnet. He was a veteran of both Ritchie Blackmore's RAINBOW and MICHAEL SCHENKER GROUP. Using RAINBOW and MSG as templates, Bonnet enlisted Swedish guitar sensation Yngwie Malmsteen. The remaining band members were ex-Alice Cooper drummer Jan Uvena, keyboardist Jimmy Waldo and bassist Gary Shea - both of 70's AOR underdog NEW ENGLAND. The group's debut album No Parole From Rock'N’Roll included a hit single "Island in the Sun", often played by MTV. 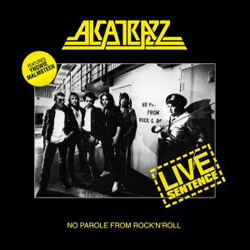 ALCATRAZZ then released Live Sentence - No Parole From Rock’N’Roll, live alum recorded during the band's tour in Japan. By the time ALCATRAZZ returned to the studio for its sophomore album, guitarist Malmsteen felt he had outgrown the group. He was let go to embark on a solo career, and the band hired ex-Frank Zappa guitarist - Steve Vai. The second studio album, Disturbing the Peace, redefined the band's vision. Lead single "God Blessed Video" was fresh, innovative and featured in high rotation on both MTV and USA's Night Flight. However, soon after release, Steve Vai left in order to join David Lee Roth's solo band. He was replaced by guitarist Danny Johnson (ex-AXIS and Rod Stewart), who recorded what would become ALCATRAZZ's final studio album. 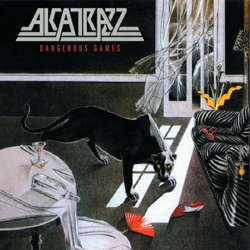 They released Dangerous Games in 1986 but after a short tour, ALCATRAZZ called it a day, and its members went on to other projects. Bonnet went on to record with guitarist Chris Impellitteri, before resuming his solo career. 1998 saw the release of The Best of Alcatrazz, which compiled tracks from all eras of the band, and was intended to be the final word. In 2003, bassist Tim Luce introduced Graham Bonnet to guitarist Howie Simon. At the time, Simon was working with vocalist Jeff Scott Soto (ex-Yngwie Malmsteen, JOURNEY, TALISMAN). Bonnet, Simon and Luce invited drummer Glen Sobel to sit in with them at a few low-key LA concerts. The group discovered they had a unique and exciting chemistry, and in 2007 the band was invited to co-headline a sold-out Japanese tour with Joe Lynn Turner. The band rang in the 2008 New Year with Bay Area legends Y&T, and in January of 2008 ALCATRAZZ was a featured performer at the Fender Guitars Custom Shop’s annual ‘Fret Fest’ at NAMM. In July the band headlined the 2008 BerkRock Festival in Berkovitsa, Bulgaria. 2009 saw the band hit Mexico for the first time ever. This was followed by a successful winter tour of Europe. In 2010, ALCATRAZZ finally conquered Russia with a series of shows. In October of 2010, ALCATRAZZ headlined the “Voices Of RAINBOW” tour, which covered various cities in Japan. This tour also featured ex-RAINBOW vocalists Joe Lynn Turner and Doogie White (ex-RAINBOW, CORNERSTONE, TANK). The highlight of the tour was all three vocalists sharing the stage together for the first time ever on RAINBOW classics. Currently, the band is writing material for a new album. 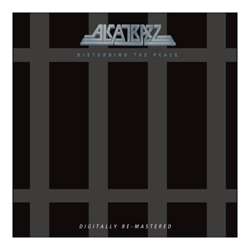 Today, ALCATRAZZ albums - No Parole From Rock'n Roll, Live Sentence – No Parole From Rock’N’Roll, Disturbing The Peace and Dangerous Games will be re-released in a new digipak edition, each one enriched with bonus tracks. Metal Mind Productions set the release date for November, 11th (Europe ex. UK). "Breaking The Heart Of The City"